After landing at a Serengeti air strip, we set off with our guide and tracker for the two-hour drive to the tented camp. Within minutes, we entered an open field and saw two magnificent giraffe sparring. The safari had begun! For wildlife lovers, an African safari is a dream vacation. Seeing animals in their natural environment and learning about their behavior enhanced my appreciation of these incredible creatures. 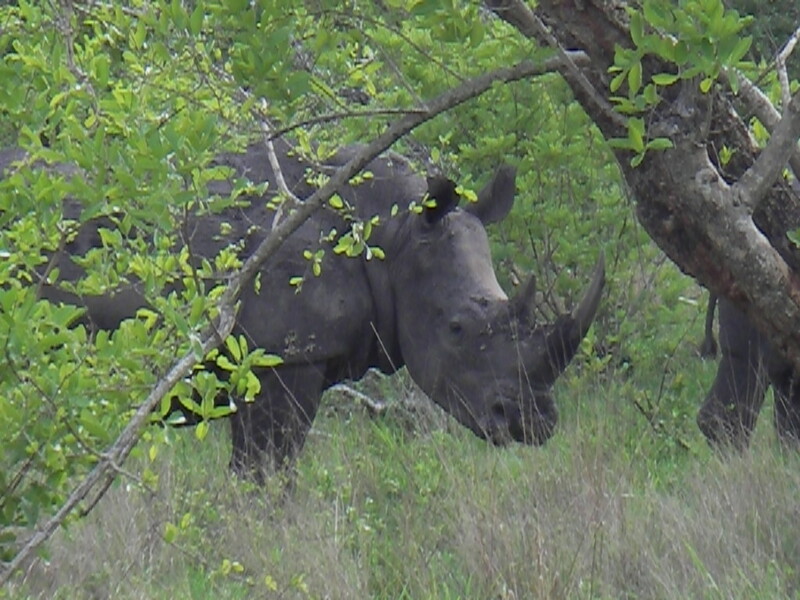 Our first safari was in South Africa in 2005, and then we visited Tanzania and Uganda during the 2013 world trip. 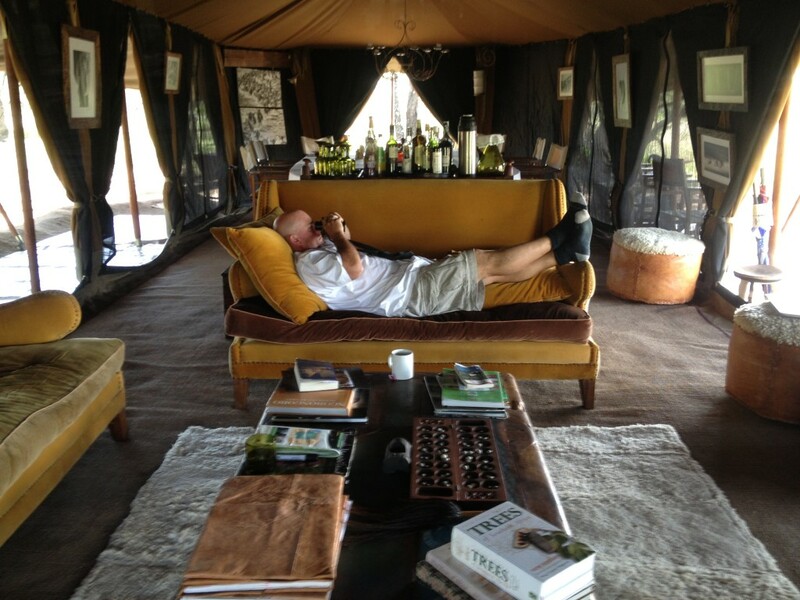 We’ve tried several types of safaris ranging from tented camp with private guide to hotel / self-drive. With the variety of options and price points, it can be tough to decide which option is best. So, we’ve gathered our experiences and created some tips to help plan your dream African safari. To start things off, here’s a comparison of three different African safari experiences as a point of reference as you plan your adventure. Do you want to see the big five, great migration, baby season, gorillas, etc.? If there is a must see on your list, determine which destinations are best and at what time of year. Also keep in mind, that the more popular destinations will be more crowded, which can impact the experience. Do you want to focus just on safari or take in other sights like cities, beach, community tourism, natural attractions, wine tasting, etc.? Travel within Africa by road can be tough and air travel is expensive, so if your or budget time is limited it helps to focus on attractions that are not too spread out. Some safari locations are accessible by road, and for others it is best to travel by plane. With the exception of Uganda, we flew to all national parks. 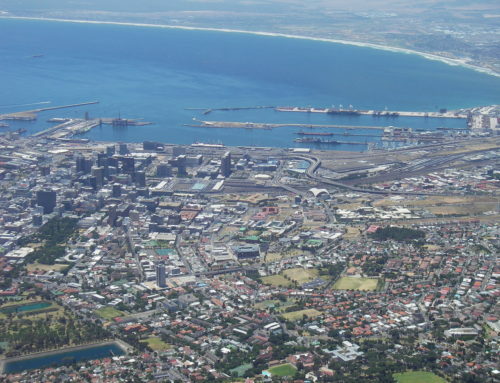 One thing to keep in mind is that it may take several flights to reach your destination once you land in Africa. For South Africa and Tanzania, we flew to a small airport on a commercial flight and then took a smaller flight to the national park (in Tanzania it was a commercial flight and in South Africa, a four-passenger charter). Also keep in mind that the smaller flights can be a challenge to book and are pricey. Travel tip: small flights have luggage restrictions, so check with the airline and plan accordingly. If you fly through Johannesburg, South Africa, you can store large suitcases at the airport and bring a small duffle bag on safari. We’ve done this twice and it worked out great. This is a biggie and, in my opinion, has one of the biggest impacts on your safari experience. 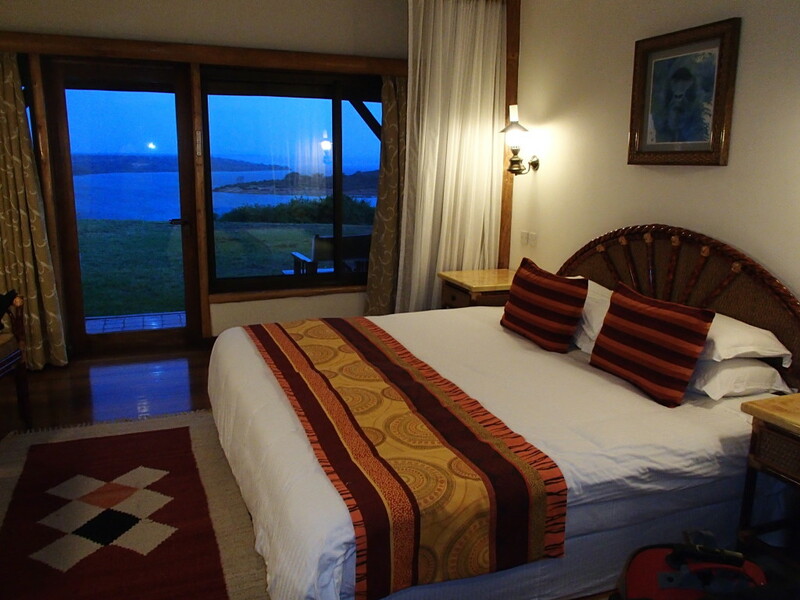 The options vary widely from full service hotel, campground, guest house, and mobile camp. Where a full service hotel offers convenience and comfort, a mobile camp puts you in the heart of the action. It is both thrilling and unsettling to know that at any moment, an animal could wander through camp. The remote camps are pricey and can cost $500 – $1,000 + per person, per day but include room, food, drinks, and guided game drives. 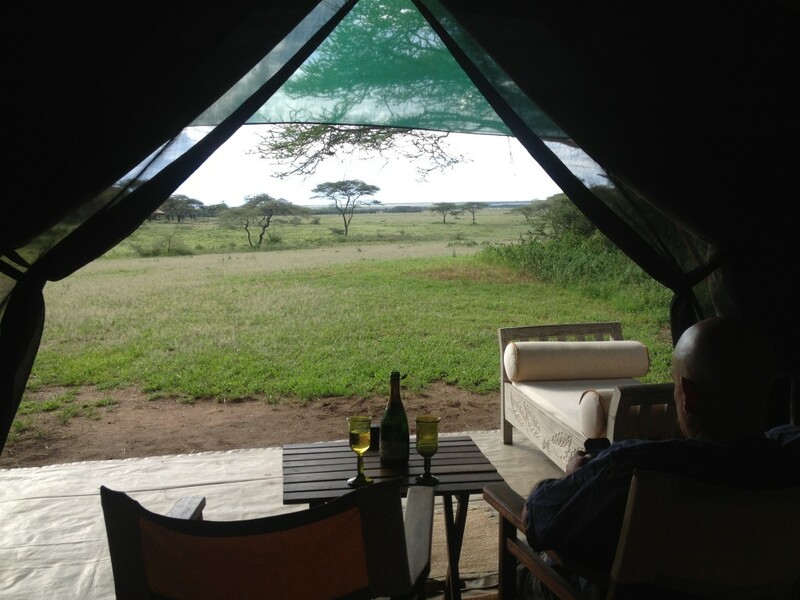 Travel tip: mobile tented camps can offer many of the comforts of a hotel. Serian tents have a toilet, wash basin with bucket of water, shower (tell the staff when you are ready and they heat the water and fill the shower tank), and electricity (but no heat / air con). What is the best way to do game drives? 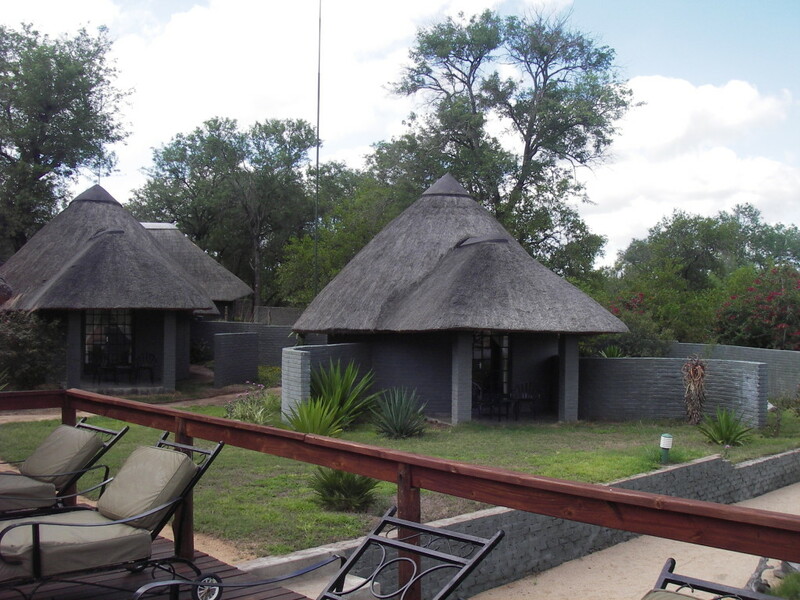 The game drive experience will vary based on where you stay and the option(s) available. Public areas in some national parks may not permit off road. At Chitwa Chitwa in South Africa, guests gathered at scheduled times and set off together in open four-wheel drive vehicles with driver and tracker. 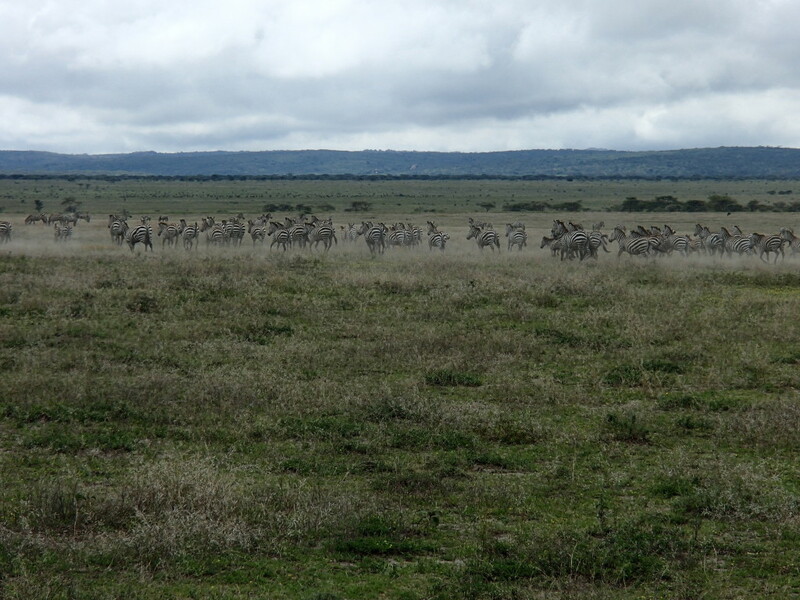 We drove through the bush as the tracker guided our path and stopped close to animals lounging and munching on grass. Some paid us no mind and others watched us watching them. Occasionally, the driver got an alert on the radio from another guide and we sped off toward one of the big five. At one point we stopped to visit a magnificent lion resting atop an anthill, but shared the view with several other vehicles. Morning drives were followed by breakfast at the lodge and evening drives included a sundowner in the bush. We learned a lot from the guide and felt somewhat assured that he had a pistol and shotgun, just in case. Group drives offer the camaraderie of interacting with other travelers, but are low on comfort as you have little wiggle room in the vehicle. And, you must keep to a schedule. In addition to the remote Serengeti location, one thing that appealed to us about Serian was the private vehicle for game drives. 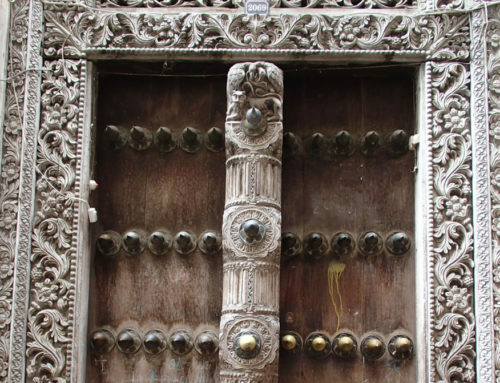 Instead of following a schedule and crowding in with other travelers, we set out at our leisure and had complete flexibility as to where we went and how long we stayed. Our guide and tracker did an awesome job finding a huge variety of wildlife and teaching us about their behavior. We even saw a chameleon. They also brought food and drinks and found great spots for a break. We got up close and personal with a young male elephant – a little too close at one point – he wasn’t in the mood for visitors that day. 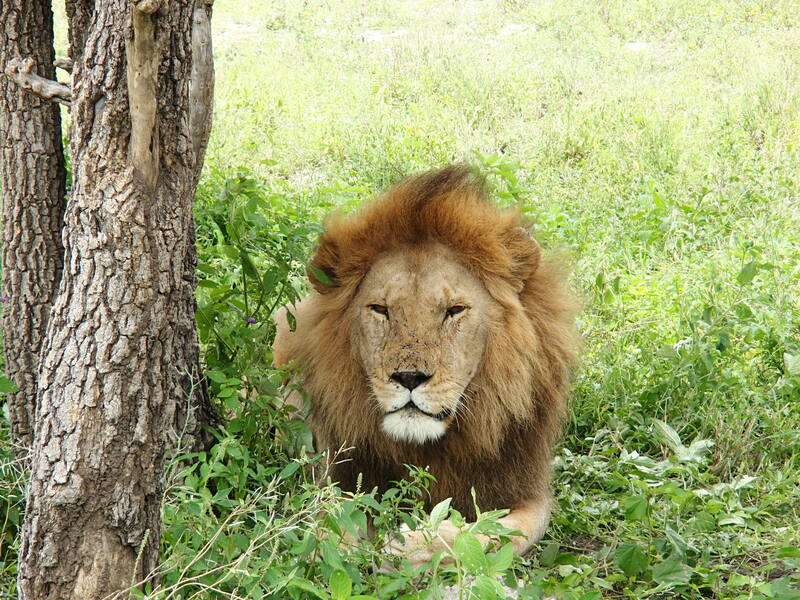 Note: things are a little more laid back in Tanzania compared with South Africa – no weapons on these game drives. This option is available in public sections of some national parks where there are defined roads. You will enter the park gate, pay the entrance fee, and then stay on road as you search for wildlife. Whether or not you see animals is largely based on luck, because you don’t have the help of a tracker or communication with other drivers. Off road driving is not permitted, so if you see animals far from the road, pull out binoculars to get a better view. 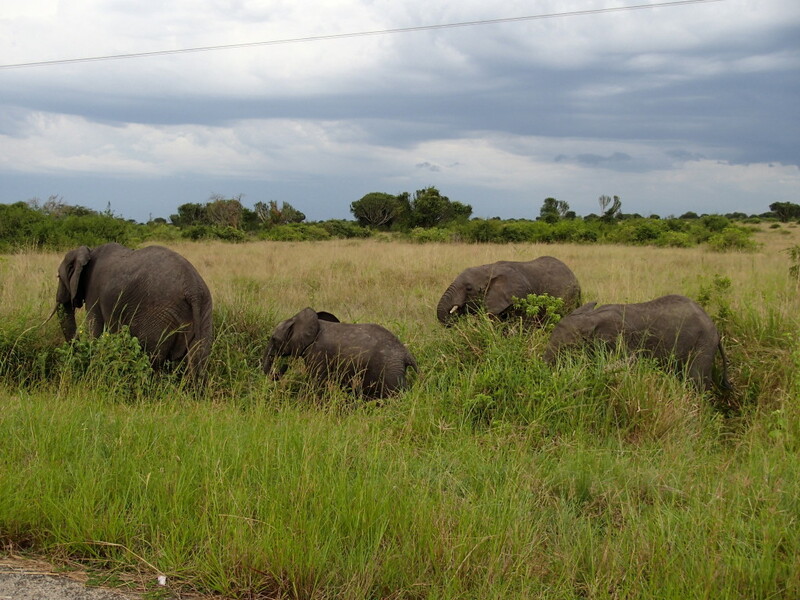 On our Uganda game drives, we saw nearly as many animals outside the park as we did inside. One day, as we returned to the hotel, we stopped for ten minutes to watch a small family of elephants have a leisurely snack and walk across the road. This option is the most affordable, but you won’t have the benefit of an experienced guide who knows the animals and their behavior. Should you use a tour operator? 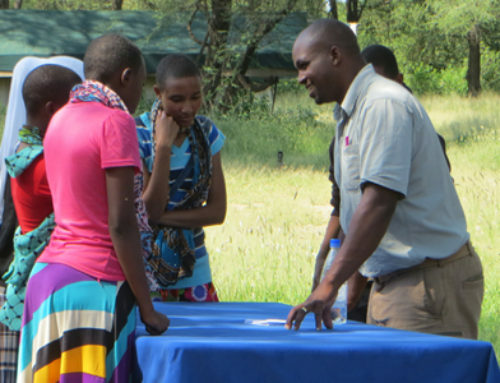 We typically book our own travel, but worked with a tour operator for Tanzania because the safari camp only booked through agents. Tanzania Odyssey ended up helping with all of our Tanzania travel including domestic flights, hotels, and ground transportation. Although it is totally possible to plan and book an African safari on your own, some small airlines are tough to reach, and working with a tour operator can save time. We had a good experience with Tanzania Odyssey – everything went smooth with no issues (except for a late pick up from Mt Kilimanjaro airport) and it was helpful to have ground transfers pre-arranged. Depending on your country of citizenship, you might need a visa to enter some African countries. As soon as you select the destination, determine if you must obtain a visa. Some countries require travelers to obtain a visa in advance and others allow you to purchase it at entry. We needed a visa for Tanzania, Zimbabwe, and Uganda. Do you need to consider health precautions? YES!! This is one Must Do on your travel planning list. Research the health risks along with any required vaccines for entry. On both visits to Africa, we took anti malaria pills. For Tanzania, we got a yellow fever vaccine (required in order to enter the country). Check the Centers for Disease Control and Prevention as well as the embassy of the countries you will visit. Travel Tip: if you are going to a remote location, pack all over the counter medicines you may need, e.g., pain reliever stomach upset, skin irritation, etc. Also consider travel health insurance with evacuation coverage. We purchased a comprehensive policy for our world trip. Happily, we didn’t need it on safari, but we did use it when Michael got food poisoning in Cambodia. There is no right or wrong way to do an African safari. Everyone is different in terms of what type of experience they will love. For us, each safari was incredible in very different ways, but we loved the Serengeti due to the remote location, variety and abundance of wildlife, and game drive / meal flexibility. Oh, and the thrill of hearing Simba’s calls near camp at night (ok, it was exciting and scary all in one)!